Visitors to the festival this year may enjoy Lolly the Trolley tours through Euclid to the city’s wind turbines, a community kite fly on the beach (bring your own or buy a kite kit at the fest), zipline rides, a 25’ rock wall, inflatables for young and old, live music from the popular band Pieces of Eight, a variety of crafts and wind-themed activities for young people, plus a visit from Pick Up Stix stilt walkers and Flower the balloon clown. Entertainment includes performances by DancEvert and Dr. U.R. Awesome's giant bubbles. There will be food trucks and refreshment stands throughout the event offering summer fare, cold drinks, beer and wine. Admission to the festival is free. Certain activities require a ticket purchase and all activities are weather dependent. Area businesses help make the Wind Fest possible through their generous support. Some of our sponsors include Cleveland Clinic/Euclid Hospital, Sandy Sponsors Willowick Market Marathon, Infield Chiropractic, GPD Group, Wave Sponsors Fedeli Group, Ss. 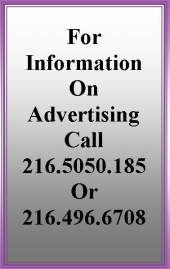 Robert & William, Euclid Preparatory School, Moore Counseling & Mediation Services, Sims Buick GMC, Fogg – Euclid, LLC, Hazen and Sawyer, Cuyahoga Community College and Mazanec, Raskin & Ryder. The Wind Festival is supported in part by the residents of Cuyahoga County through a public grant from Cuyahoga Arts & Culture. 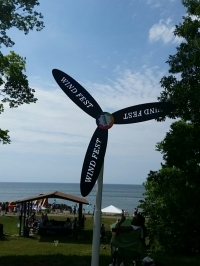 For additional information on the 2018 Euclid Wind Festival, please visit: www.shoreculturalcentre.com. or call the Shore administrative offices at 216-289-8578.